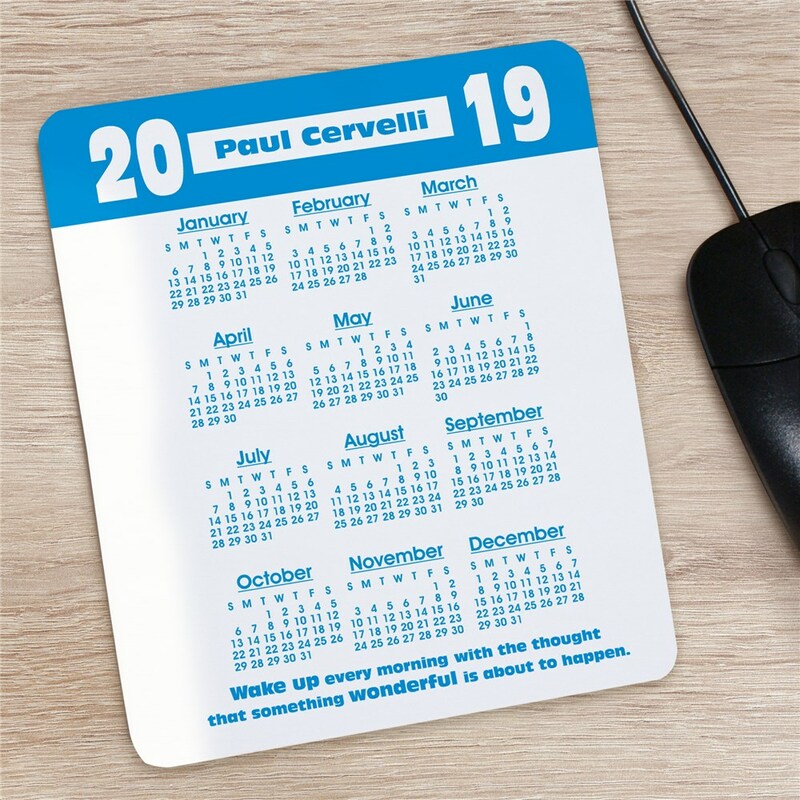 Our Personalized Calendar Mouse Pad is the perfect gift for anyone... from college students to those already working in the real world. Projects & important dates will be easy to remember when you refer to your Personalized Calendar Mousepad. Personalize your Calendar Mouse Pad with any name, and your choice of 10 different design colors. Great mouse pad. Easy to read and smooth so the mouse glides easily.